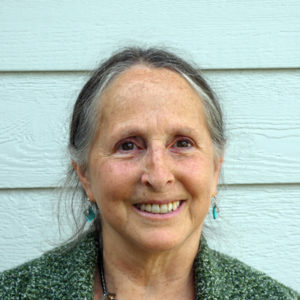 Laura Rich, Executive Director, has more than 40 years of management experience in the fields of arts and education. She began serving as Executive Director of the Rogue Valley Chorale Association in 2016. Introduced to music at the age of five, Laura developed a passion for singing, dancing and a variety of instruments including piano, guitar, banjo, dulcimer and percussion. She graduated Phi Beta Kappa with honors from university with degrees in mathematics, education and sociology, and was awarded the Outstanding Senior Award for Academic Excellence. With an extensive background in music, Laura studied under master artists in Los Angeles and in Guinea, West Africa. Her background in dance enabled her to accept a position with Aman, a Los Angeles based dance company. She performed with the company for several years before relocating to the East Coast. Laura served as Co-Executive Director of World Music Productions, the management company for the National Performance Ensembles of the Republic of Guinea, and toured extensively with the organization. Laura has performed and recorded for numerous artists in Los Angeles, Atlanta and Nashville. This eclectic individual is also a black belt martial arts instructor, a passionate gardener, a vegan chef, fluent or conversational in several languages, a k-12 teacher, and a midwife. Returning to her West Coast roots, Laura moved to Oregon with her husband, Philip Booth, in 2007 and is thrilled to be a part of the Rogue Valley Chorale Association.